Termites can cause more damage than one might imagine. It is estimated that termites can cause billions of dollars in structural damage. Collectively, property owners might end up paying more than $2 billion just to deal with the termite problem. This is one reason why we do not take chances when it comes to our methods. 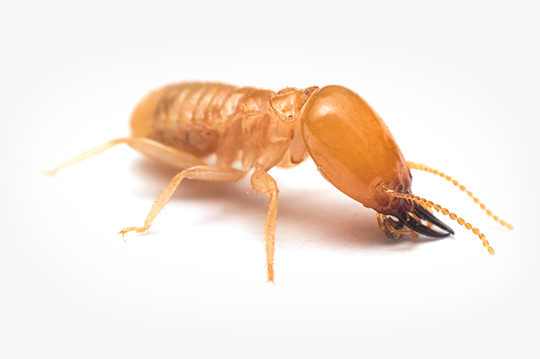 We only hire experienced personnel and use the very best termiticides on the market to make sure that your termite problem is dealt with effectively. A termite treatment is very involved and requires skill. We cannot take any changes because we will be working on the foundation of your property, be it a home or business. We do not recommend inexperienced or non-registered termite specialists. You can be sure that our technicians are experienced and that our organization uses well-trained personnel who can take care of your termite problem. There are three parts to our treatment. The first step starts with our initial inspection and is followed by the treatment application. The third service we provide is a one a year checkup to ensure that the termites do not return. This issue is unlikely, but we do not take any chances with your property. For the inspection, one of our specialists will pay you a visit. The inspector is going to be checking the property for possible entry points, weak areas, and finding the best location to apply the treatment. Each property is different, so the inspector must draw up a customized graph to help us administer the treatment safely and effectively. The inspector will document the scope of the problem and the kind of termite that is affecting your property. 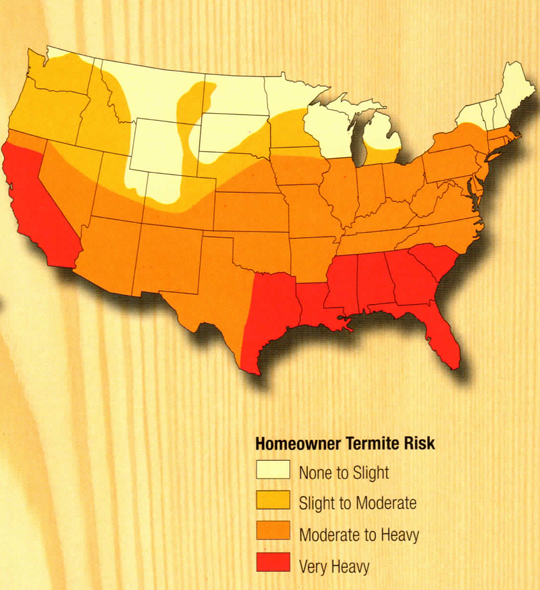 There are hundreds of termite species, so knowing this information will help us out. The inspection ends with you receiving a relatively accurate estimate and finding out how long the entire process might take. You might also hear about some of the things you can expect next. The second visit will involve two to four technicians. The number of technicians that will visit your property depends on the size of your property and scope of the issue. The team will have detailed information regarding your property. The purpose of the visit is to apply Termidor 80wg. Termidor 80wg is one of the best termiticides available and is the most effective. The application does involve a lot of specialized tools like sub-slab injectors, soil rods, and masonry drills. Our specialists have been trained to use each of these tools and are doing so to properly distribute the termiticide throughout the foundation of your property. The third part of our treatment is the long-term protection plan. First off, the termiticide that we apply will help kill termites and prevent them from coming back for at least 10 years. We also make sure that we schedule an annual renewal inspection after we apply the first treatment to make sure that your property is still safe and there has been no breach. Do not hesitate to contact us with any questions, because our personnel is more than happy to help you. Our team has been serving Roswell and the surrounding areas for some time, and we care about the community and its properties. We will be glad to explain each step of our treatment process or answer any other question you may have. Just try to keep in mind that time is of the essence, because these insects will not stop damaging your property until the issue is dealt with. There are at least one queen and king in each termite colony. The queen is there solely to reproduce. Her lifespan can be as long as 30 years. Queens are able to lay thousands of eggs every year. Termite eggs hatch into nymphs. In the termite colony, workers, soldiers, reproductives, and supplementary reproductives all diverge from nymphs. Workers repair and build the colony, forage for food, and care for the other castes. They are blind and wingless insects that make up the largest colony caste, and are typically the specimen found in infested wood. Soldiers have one function: to defend the colony. They are blind, sterile, and wingless. Eventually becoming swarmers, winged reproductive termites shed their wings, pair up in male-female couplings and try to start their own colonies. These termites reproduce to create a larger population within an established colony. They can also serve as a replacement queen or king if one should perish.